What to wear on your haldi and mehendi apart from floral jewellery! To start with, we are not saying we don’t love floral jewellery, it is definitely a good option for your pre wedding functions. However, nowadays almost every bride is spotted wearing floral haath-phools, maang tikkas and the necklaces! So floral jewellery is seeming to become a tad too boring lately! 13. Safa….. Because why should guys have all the fun? 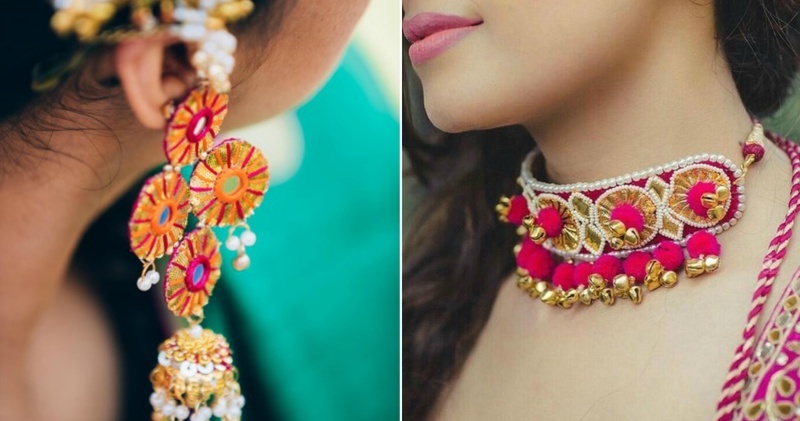 With our list of jewellery options for mehendi and haldi coming to an end, we hope you have enough options to choose from apart from floral jewellery.